The former RBS CEO has taken a full-on approach to healing the UK insurer. He’s planning disposals, cost cuts and a 775 mln stg rights issue. After a terrible 2013, the capital hike asks a lot of investors. But Hester has enough credibility to usher this through. Stephen Hester speaks to media as he leaves after appearing at a Treasury Select Committee hearing at Parliament in London June 8, 2011. RSA will seek 775 million pounds ($1.29 billion) from its shareholders via a rights issue, the British insurer said on Feb. 27, confirming earlier media reports it would raise fresh equity. RSA will also raise 150 million pounds by scrapping the 2013 final dividend, and target 300 million pounds of disposals in 2014, with more to come in future. The insurer aims to pay out between 40 percent and 50 percent of earnings in dividends by 2016-2017, by which point it targets a return of 12 percent to 15 percent on tangible equity. However, it cautioned any dividend in 2014 would be modest. RSA announced operating profit of 286 million pounds, sharply below the 667 million pounds recorded for 2012. However, the results included 315 million pounds of non-recurring items, such as a 200 million pound reserve-strengthening to address irregularities in Ireland and a 52 million pound charge to deal with exceptional claims for bad weather. Without these, operating profit would have been 601 million pounds, down 9.9 percent. Overall, RSA recorded a loss after tax of 338 million pounds, compared to a profit after tax of 327 million pounds in 2012. 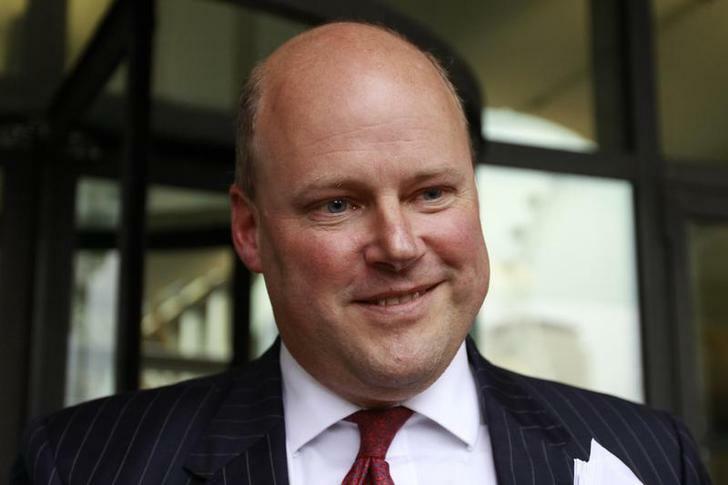 The results were the first under Chief Executive Stephen Hester, the former CEO of Royal Bank of Scotland. He took over on Feb. 4, after accounting irregularities in Ireland led to a 200 million pound charge and helped prompt the departure of former boss Simon Lee. By 1500 GMT on Feb. 27, RSA shares were trading at 97.7 pence, down 4.4 percent.